Experts have long said that behind all the visible and highly mobile alliances of Middle Eastern states there are more stable and active associations of “interests” that do not fit into conventional political logic, but in fact work perfectly. Such an alliance has resulted from a well-hidden, but well seen for attentive observers “working union” of two seemingly long warring states – Israel and Saudi Arabia. They seem to be divided by everything – religion, the Arab-Israeli conflict, geography, etc. However, as it turns out, there are things that have become stronger in the current historical context and determined the very deep rapprochement between these countries and the coordination of their actions on many fronts. Those who do not believe this, should read the Israeli media on December 9, which reported that the head of Saudi intelligence, Prince Bandar bin Sultan, as part of the Geneva negotiations on Iran’s nuclear programme in November 2013, met with many heads of Israeli intelligence to develop a line of containment of Iran “by all possible means”. This rapprochement or drift of Israel and KSA towards each other has long been noted by analysts, after the 1979 Khomeini Revolution in Tehran. Since then, the two countries clearly began rendering each other all sorts of services, which has been predicated by the advent, as the result of this revolution, of a common enemy – Iran (anti-Israeli and anti-Vahabist at the same time), as well as the presence of the general “boss” – and strategic ally – the U.S.A. It all began with the establishment of secret cooperation between the two ministries of internal affairs on issues of interest to both sides concerning the fight against terrorism and extremism. Both Tel Aviv and Riyadh have in this matter considerable and largely similar experience, and not always successful. Israel had successfully established and developed in the mid-1980s, the Islamist movement Hamas in the Palestinian Territories, originally aimed to fight with the national movement of Palestinians PLO and its main secular component Fatah. However later, Israel was forced to deal with its already as a dangerous opponent and Iranian ally, whom Tehran skilfully won over to its side, having snatched the card out of Massad’s hands. To somehow temporarily solve this problem, which caused much trouble to the Israeli authorities and brought dozens of terrorist acts, they had to make a political decision to withdraw their troops in 2005 from Gaza, unilaterally, to “lock” there the Islamic radicals who went out of control (their ranks were preliminarily essentially reduced by using drones). In fact, Hamas members were immediately legitimized, by giving them opportunity, with the consent of the U.S. ally, assisted by the British security services (such as Alistair Kroc who played an important role In Afghanistan), to participate in the 2006 parliamentary elections, and even win them, which led to the splitting off of the Gaza Strip from the West Bank of Jordan. (Later, after the “Arab Spring”, it turned out that this was most likely the “set piece”, which allowed the U.S. and Israel to check the possibility of driving the Islamists to power by legal means and to establish proper control over them. This experiment, again, as it was shown by further developments in Egypt in 2011 to 2012, was not entirely successful). The same game was played by the Saudi rulers a little before that, upon suggestion of their American patrons, who had grown the Mujahedeen in order to combat the “Soviet Occupation” of Afghanistan. These, just like the Hamas, turned to be ungrateful to their “parents” and partly regenerated into the Taliban, and partly into a well-known al-Qaeda movement, which declared the Saudi monarchy, to be its worst enemy, and performed a number of high-profile terrorist attacks on Saudi territory in 2003 and 2005. It is clear that these radical movements, similar in their ideology and hostility towards their “parents”, according to analysts, has forced both countries to find ways to neutralize any consequence of their own actions as threats and challenges, and this, in turn, led to the “natural” alliance of security services of the two countries. It is clear that, as noted above, behind the joint opposition of Israel and Saudi Arabia to the external challenges and threats, there is a common task to deter Shiite Iran, whose strengthening is perceived by both sides as an existential threat. That is where the similarity lies of the not always successful experiences of the Israelis and the Saudis in growing “controlled” radical Islamic Sunni which, after the “Arab Spring” in late 2010, it was decided to place at the service of both States. This was done both to prevent the development of explosive processes in the Arab world on the scenario disadvantageous to Riyadh (victory of secular democratic movements) and Tel Aviv (preservation of strong states along the borders of Israel), and to fight a common Shia enemy. While the Saudis were saturating – initially with the Qataris and other Sunni monarchies of the Gulf, the Salafi jihadists with money and arms to fight Gaddafi and then Bashar al-Assad, the Israelis were treating them in their hospitals. 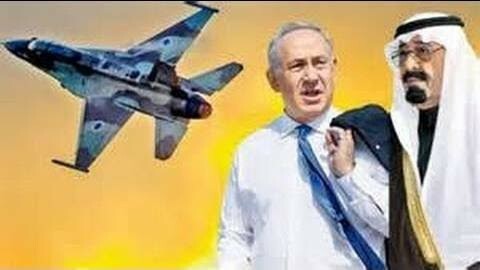 According to the Israeli press itself, in Israel only during the period of events in Syria more than 3,500 militants have been treated. Have they crept there themselves through the minefields in the Golan Heights? Hardly! This means that the channels to deliver them to Israel from the battlefields in Syrian territory were organized and prepared in advance, most likely through Sunni areas in northern Lebanon. There are many other facts about the coordination between Israel and Gulf monarchies in aiding the fighters. Syria has been repeatedly targeted by Israeli air strikes, which suspiciously coincided with the offensive operations of the Syrian armed opposition to Damascus. Something prevents us from taking seriously the Israeli version that the attacks on Syrian territory were aimed at preventing the delivery of Syrian arms to the Hezbollah. There are again strange coincidences in simultaneity of actions of Israeli and Syrian armed opposition against Assad’s forces. Ultimately, these actions, whoever guided and inspired them, led to one fact – sharply increasing the degree of Shia-Sunni conflict in the Middle East, and the “contribution” of Iran in this confrontation does not seem to be decisive, as it is stated by Air Riyadh. As for the “accountability” of Islamic radicals grown together by the Israelis and Saudis, here there are even more doubts than in the contribution of Tehran into the fanning of the sectarian fires in the region. 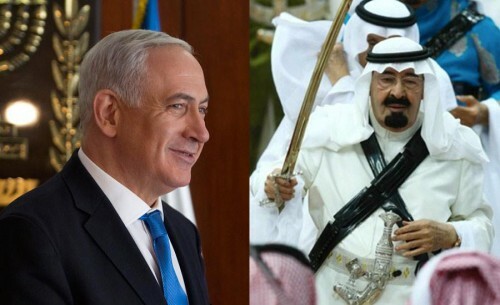 It is clear that the Israeli-Saudi coordination is not limited to the battlefield. According to the experts, this is being developed on the political front as well. Furthermore, after concluding of the Geneva Agreement on the November 24 of this year, after negotiations in the format of “five plus one” and Iran on the parameters of the Iranian nuclear activities during the transition period, the Israeli-Saudi coordination, according to experts, has acquired another dimension. It has ceased to take into account, it seems, to the fullest extent the interests of its American “boss”. Washington now desperately needs a break to restart its economy, to reset its military and political machine for the confrontation with Beijing, quickly growing in strength. However, for this manoeuver, it is necessary to get out of the Middle East swamp, where, admittedly, the U.S. has become bogged down through its own fault. It seems that Tel Aviv and Riyadh are in no hurry to give the US a helping hand. Israel is strongly inhibiting Israeli-Palestinian negotiations, launched in August of this year and sponsored by the United States – thus preventing the attainment of a mutually acceptable peace agreement with the Palestinians. While Riyadh, as world media states, continues to form new groups to overthrow the regime of Bashar al-Assad (now called the “Islamic Front”) for allegedly fighting both against the Syrian regime and Al- Qaeda. This naturally weakens the joint efforts of Moscow and Washington aimed at the upcoming conference on Syria in Montreux, which should start on January 22, 2014. In parallel, Israel and KSA seem to be using all their considerable lobbying power to torpedo the possibility of an agreement on the final settlement of the Iranian nuclear programme through the Europeans (primarily the French), as well as their friends in the U.S. Congress. These efforts are already affecting the toughening of the positions of Washington and the Europeans in the negotiations with the Iranians, which is leading to a sharp reaction from Tehran. In September of this year, Washington had the courage to resist the pressure of its Middle Eastern allies, “aimed” at the endless confrontation with Iran, to defend its own national interests, which, incidentally, coincided with the interests of most of the world, and as a result, it saw success in both the Syrian and Iranian directions. Does the White House have this courage now? Pogos Anastasov, political scientist, orientalist, exclusively for the New Eastern Outlook online magazine. Israel es el único aliado serio que le queda a Arabia Saudí, señala el periódico Al Akhbar. Los saudíes creen que ellos están apostando por un caballo que ganará la carrera, pero Israel se enfrenta, en realidad, a una crisis estratégica. En definitiva, es posible afirmar que Israel se sirve de Arabia Saudí para obtener más territorios en Cisjordania, expandir más los asentamientos y seguir adelante con la judaización de Jerusalén. Sin embargo, Tel Aviv no tiene nada que ofrecer a Arabia Saudí en contrapartida. El reino está, pues, en vías de suicidarse. Un despertar saudí de esta realidad es siempre posible, pero el tiempo es muy limitado. Tal hecho sería prácticamente un milagro, señala el periódico. Por otro lado, medios israelíes han subrayado recientemente la existencia de contactos entre Israel y Arabia Saudí, que comparten un cierto número de intereses en la región frente a la “aproximación irano-estadounidense”. Yediot Aharonot considera que estos contactos han alcanzado su punto álgido porque ambos países temen el programa nuclear de Irán y están interesados en luchar contra Hezbolá en Siria. Arabia Saudí no abandonará a sus protegidos en Siria debido a EEUU y todavía posee medios para proseguir esta guerra, señalan analistas israelíes. Los medios israelís creen que existe una oportunidad histórica para que Israel se alíe con Arabia Saudí. Los “enemigos comunes” y los intereses económicos llevarán a ambos a alcanzar esta alianza, señalaron dichos medios.